No religion can claim to be perfect unless it contains full teachings concerning human morals, for, although morals are not part of spirituality, yet they constitute the first step towards it, and without perfect morals man cannot attain to perfect spiritual development. A study of those principles startles one into the admission that the world was merely groping in the dark in the search for moral principles. As it is not possible to attempt a detailed exposition of the whole question, but through the grace of Allah I shall give a brief reference to some matters of principle. The first matter relates to the definition of morals. The nature of moral qualities has been misconceived and has led mankind into serious error and is responsible for long but futile discourses in religious books. People fail to realise that there is an intermediate stage between animalism and morals. Animalism signifies that condition of man in which, owing to defective training, disease, habit, ignorance or ill-will, he acts out of purely selfish motives for purely selfish ends, and has neither regard nor consideration for the feelings of others. But this is not the natural condition of man, for man has been invested with many natural feelings which prompt him to do good to others and which people mistake for good morals. For instance, a man has been created social and these feelings are the necessary equipment of a member of society. Even a child who is brought up in strict seclusion and is deprived of every kind of instruction is bound to exhibit these feelings in his conduct, which shows that these feelings are distinct from morals and are merely natural instincts. For instance, affection and aversion are both equally natural feelings, and neither of them can, therefore, be described as good or bad; for if one of them is good and the other bad, we would have to confess that God had made evil inherent in our nature, which would amount to blasphemy. Beside, this doctrine is refuted by our experience, for a feeling of aversion towards certain things, for instance, towards oppression or evil doing, is highly creditable. But if every feeling of aversion were to be regarded as evil the repugnance towards evil-doing itself would be a sin, which is absurd. A religion which merely exhorts its followers to be kind, or forgiving, or affectionate, or beneficent, or not to be extravagant, is merely enumerating our natural feelings and this does not amount to moral instruction of any kind. Only that religion can claim to have given moral instruction which lays down rules calculated to control the exercise of natural feelings and gives directions for their proper exercise. In other words, the exercise of some natural feelings and the suppression of others do not amount to morals; it is the conscious and intentional exercise of all natural feelings on their proper occasions and a restriction of such feelings on every undesirable occasion which is moral. And also, like you know, tonight is the 27 Rajab and thus before closing my sermon I will say a few words on it. 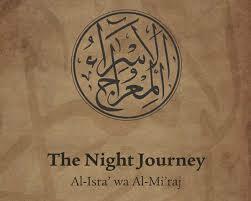 On the night of 27 Rajab, occurred what is known as the Isra and Miraj (the spiritual journey and ascension to the heavens) which the Holy Prophet Hazrat Muhammad (pbuh) experienced. 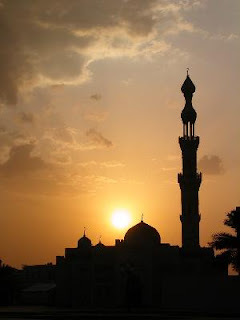 And according to the Hadith and other anecdotes of Islam it is a 27 Rajab that our beloved prophet (pbuh) made a night journey to Mecca and Jerusalem and later on to the heavens. It is baffling that many Muslims still think that the journey was a physical one, when verily it was a spiritual one. This is one of the reasons why they still believe that Jesus, Hazrat Isa (as) is still physically alive in the heavens and can come down with his body of clay back on earth. This provides them a consolation that this is possible as they believe that the journey of the Holy Prophet Muhammad (pbuh) was a physical one. Prophets of Allah usually speak in parables. Parables are but ways of the chosen ones of Allah to illustrate situations so that they may better understand them, but rather than understanding them, and implement them as and when they apply, people misunderstand those parables and take them literally rather than metaphorically. Someone who really experienced the state of Kashaf (vision) may better understand the state that the Holy Prophet Muhammad (pbuh) was when Allah granted him the vision. 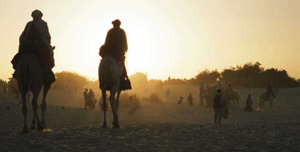 Despite the fact that the degree of this prophetic Kashaf was a much of a higher level than any other Kashafs which other people may witness, including those of the past prophets, but only what is clear in this case is that Allah only takes the soul of His servants who are alive only by both the state of sleep and consciousness which we call vision (Kashaf). Members of the Jamaat Ul Sahih Al Islam from across the State of Kerala (India) assembled at the historic Noor’ul Islam Masjid, Mathra between 15-17 May 2015. Brothers, sisters and children of the Jamaat came for the Special Get Together Programme with the broader objective of shared learning, mutual discussions and to perform collective prayers and to develop spiritual solidarity in an atmosphere of informal cordiality within the fraternity. 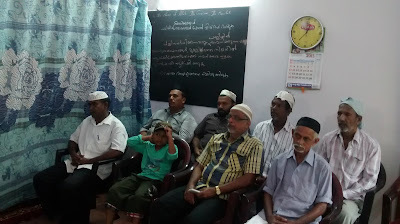 Brothers and sisters from Palakkad, Alappuzha, Kochi (Ernakulum), Kodungallur and Kaliyikkavila, and also from Delhi, reached Mathra to join our Sahih Al Islam families in the place, ahead of the scheduled commencement of the Three-day programme. 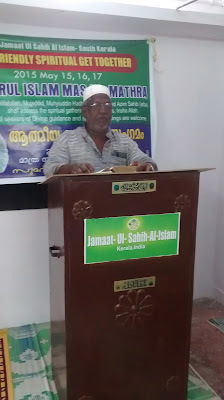 Brothers were routinely encouraged to recite the Holy Qur’an in Arabic along with the Translation of the verses in Malayalam and the meeting speeches were held in close proximity with prayer timings so as to allow all our women members (who were otherwise busy also to prepare food for the gathering) also to take part and listen to the special Speeches being made at the Mosque. In his remarks, the Amir Saheb viewed the Programme as an occassion to come, stay and pray together in an atmosphere of brotherly affection and friendly discussion about various spiritual matters and religious questions. Strengthening our faith and beliefs in solidarity with like-minded people becomes possible through our active and informed participation in such spiritual proceedings, he noted. In the second session after Namaz-e-Aser, all members listened with rapt attention to the special Speech from Mauritius delivered by the Khalifatullah Hadhrat Munir Ahmad Azim Sahib (atba) on the occasion. Hazrat Mukarram Fazil Jamal Sahib provided the Malayalam translation of, and supplementary notes on, the Speech for the benefit of our members present. 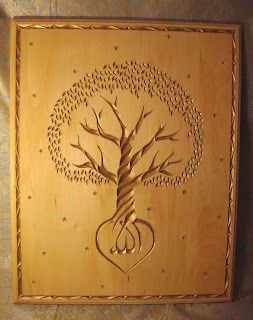 As the speech of the Khalifatullah (atba) touched upon a critical issue at the heart of our very spiritual life, the gathering sought to absorb the message in full measure- obedience to Allah and His Messenger leads to unity and solidarity within the community, testifying to right personal beliefs and integrity of practice. The human mind is very complex. It has developed gradually and that during different stages of its already God-given developed capacity. Allah (swt), throughout the centuries, through His different Messengers, Prophets and Reformers has continued to reveal such teachings which are suitable to each respective stage, till the time arrived when the mind of man had become fully developed and means of inter-communication between different sections of humanity had been perfected, and the world had in its advancement attained the stage when it might form one country and one nation. At this stage God sent the last law-bearing prophet, that is, Hazrat Muhammad (pbuh) with the last and complete code of revealed laws, that is, the Holy Quran, which it is a book which is the simplified reunification or summary of all revealed laws since the beginning of time. It contains teachings suitable to the needs of every age. Whilst being the last law-bearing revealed book, however, the doors of revelation and of spiritual advancement are still open and will continue to remain open for ever. No new law shall henceforth be revealed, but such prophets as shall lay open the hidden treasures contained in the Quran and open to mankind the doors of divine realization shall continue to arise, for no new law is required in the presence of a perfect code, and yet man is always in need of attaining to the realization of God. There can, therefore, be no new law, but the door of such prophethood as it is attained by spiritual perfection is open and should remain open for all time, for God is as much our providence as He was of our ancestors. The doctrine that the Quran was the last and perfect code of revealed laws did not involve the consequence that man had reached the last stage of intellectual progress and could travel no further, for the human mind ever continues to advance along the path of progress, both in this world and in the next. On the contrary, the more perfect a book is the more it ought to help in the advancement of learning. With respect to the contents of a revealed book, then the word of God should be like the work of God, and that as the latter is a treasure-house of unlimited secrets which mankind has not been able wholly to discover from the creation of the universe up to the present day, so the word of God ought to be a treasure-house of inexhaustible learning and wisdom for if they were to be exhausted one would be compelled to admit that God invested the material universe, which has to do with a limited portion of man’s life, with inexhaustible treasures, but so limited the spiritual universe that is to say, His perfect Book, that its treasures were soon exhausted. This, however, is not so. The Holy Quran contains treasures more numerous than those of the materiel universe, and these are laid open before all those who seek sincerely for them. Most people would derive intellectual pleasure from the contemplation of this new principle which thus windows the horizon of intellect to an unlimited degree, but this needs to be put to a practical test. As a humble servant of Allah, I have put this test to practice and the benefit which I have derived from the application of this principle to the study of the Quran fills me with an intoxicating joy. Now this ecstasy is even palpable on a daily basis ever since Allah has chosen this humble one as His chosen messenger. Sources of information to extol and expound the perfect divine words within the Holy Quran is given to this humble self frequently, just like rain falls and give a new life to the earth. With every reading, Allah reveals or inspires new explanations, new ways to view the revealed verses and apply them in our daily life. 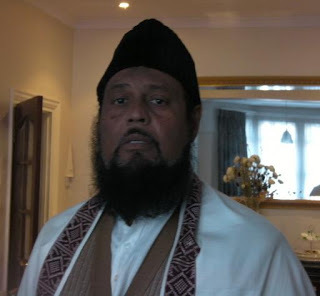 Jamaat Ul Sahih Al Islam has just published a special Article/Booklet explaining the remarkable fulfillment of a Divine Message recieved by the Khalifatullah Hadhrat Munir Ahmad Azim Saheb (atba) of Mauritius. In a special Speech made to the Study Circle of the devout followers, the Khalifatullah (atba) had presciently indicated the dismal future of the then existing government as a consequence of its egregious deeds and also the essential outcome of the international litigation the then Government preferred over the long-standing dispute with the UK over the sovereignty question of the Chagos Archipelago. 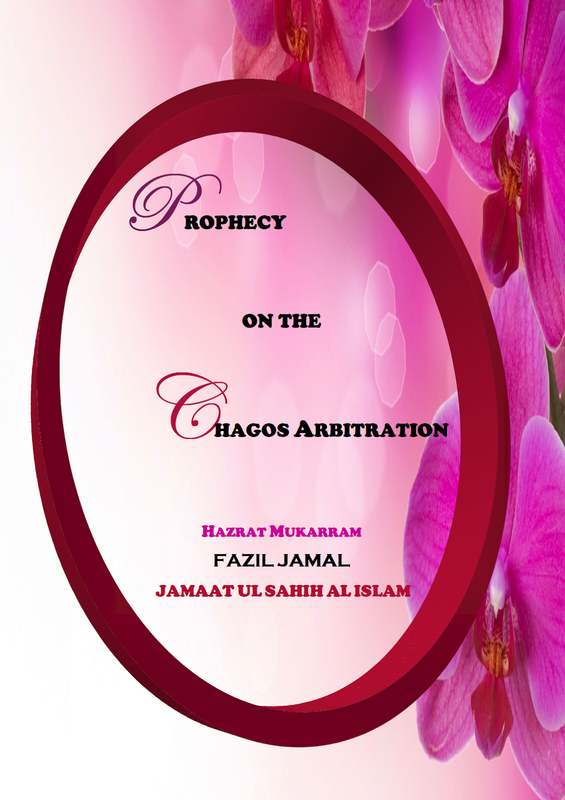 The special Booklet entitled "Prophecy on the Chagos Arbitration" is available at the official website of the Jamaat, to access it, click here. 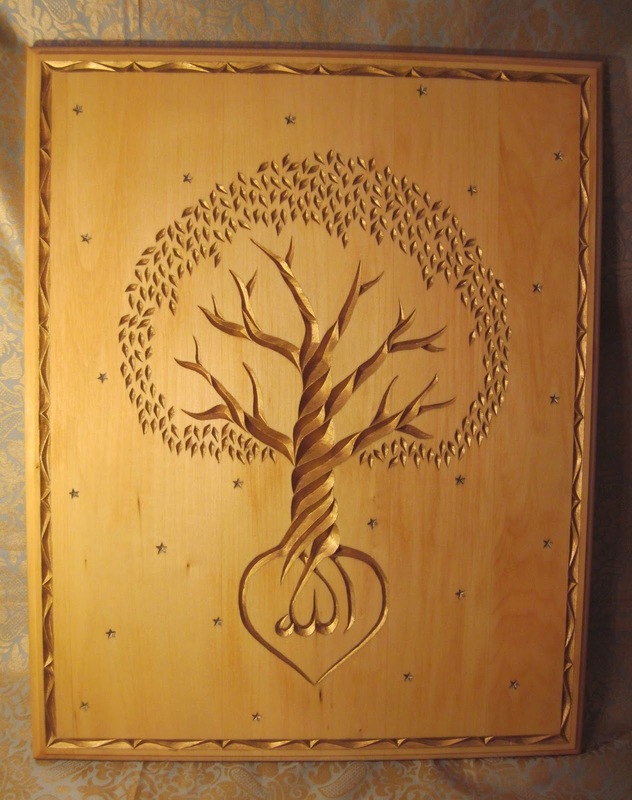 To read the special Article in the Sahih Al Islam Blog, click here. A Divine Message is that light which God Almighty (Allah) uses to brighten man’s once darkened life. If light is hope for darkness, then Divine Revelation is hope for man’s salvation once he surrenders himself completely to Allah. 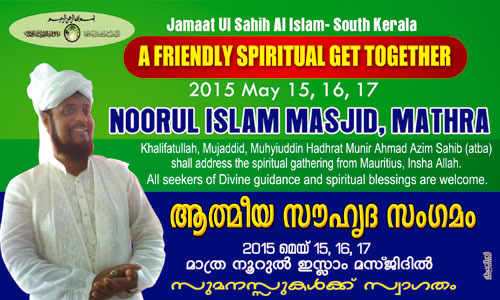 This submission in turns is fertile land for him to accede to Allah, to become close to Him. And once the signs and manifestations of Allah become clear to him, he gets to feel blessed in every way, especially in the times of a Messenger of Allah, who comes to fuel for him that hope, and to enable him to open his inner eye and see the realisation of the signs of Allah. The present article entitled “Prophecy on the Chagos Arbitration” examines the realisation of the words of Allah revealed to this humble self, the Khalifatullah of the age. These words which in turn are vehicled to the people through the tongue of the Messenger of Allah- thus called prophecy -are food for thought for humanity. 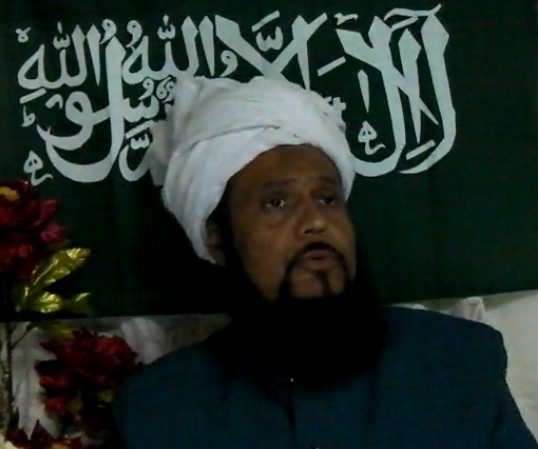 In a Special Speech delivered on 17 May 2012, the Khalifatullah Hadhrat Munir Ahmad Azim Sahib (atba) of Mauritius spoke succinctly on a range of world and national issues, and religious and political developments. "Only Allah can “dethroned” them (the present Government) and bring them to their destruction, towards their great humiliation and in such a way that the people (citizens of Mauritius) turn against them. Thereafter we shall come to know how many frauds and corruption were done during their mandate". In a previous article in this series, we have already noted how the judicial system in Mauritius is indeed seeking to catch up with the former Prime Minister Navin Ramgoolam and his coterie of men and women for their unlawful activities and criminal offences. For reading the same, click here. In this article, we shall seek to unravel yet another issue discussed on the occasion of the Special Speech- the then raging national debate over the effectiveness of the government's strategies to regain possession over the Chagos Islands, over which Mauritius has, for long, raised historic title and legal claims; though in reality and in fact, these islands remain the British-administered island territories in the Indian Ocean. 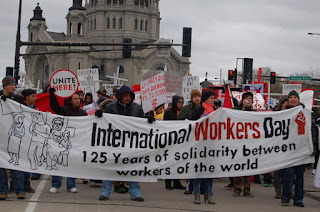 Today (1st May), some countries in the world are celebrating International Workers’ Day, or Labour Day. Whether in France, or other major countries of the world, many, including Mauritius celebrate Labour Day to commemorate the working class, to give a just impetus to the injustices they had to suffer throughout the years. This is a holiday where the mass and the superpowers also must reflect on the human side of workers, regardless of their rank in the work industry and give them all the rights they deserve. Unfortunately, it is a sad fact that despite that the rights of workers and all people are recognized, but these rights are rarely taken into consideration. Injustice today reigns in favour of the “strong”. Injustice, despite the fact that it is considered one of the most repulsive characters of man, continues to make havoc in every corner of the world. We witness it in our daily lives. It is no longer seen as something bad but something good! People ignore its seriousness. The situation is completely reversed. Instead of making justice govern our decisions, our reasoning and our judgment, it is injustice that has the upper hand. Even stranger, man rejoices in his unjust act without considering the grievous consequences that await him. The injustice towards others is something the Lord of the Worlds has categorically prohibited. He even forbade it on Himself. 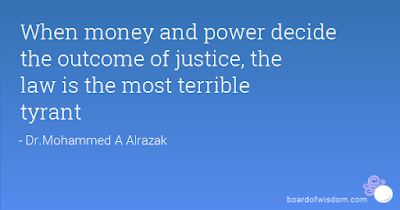 Injustice is a major sin and manifests itself in many forms. In the world of work, the injustice of bosses, entrepreneurs, businessmen towards their employees, their workers, their servants is not a secret. How many thousands of workers are poorly paid or denied their wages or their rights while their bosses lead a life of luxury, in extreme extravagance breaking the heart of these poor people! 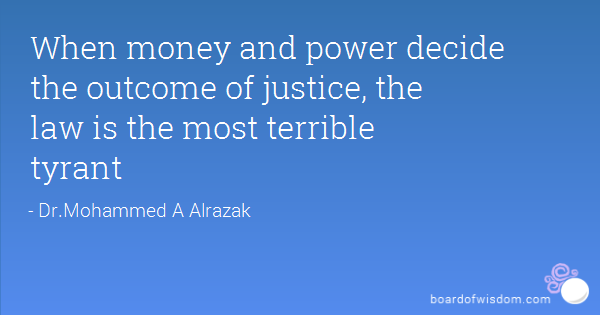 Similarly, we witness injustice in the legal field. When a man in power accuses a weak low-ranking person, the latter is quickly judged and undergoes his sentence without defence.